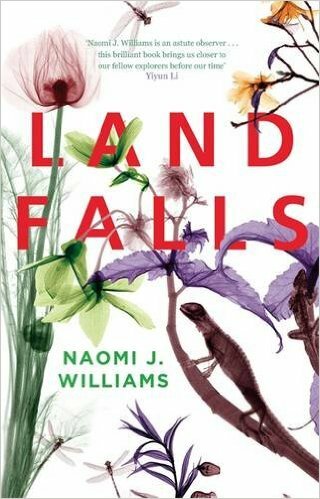 Landfalls is a joy to behold a treasure of a debut novel that has been painstakingly researched a joy to read. The story is set around two ships Astrolabe and Boussole that set sail from France in 1785 on an expedition to seek out new lands in a World that was still to be fully discovered seek out new lands, and confirm passages and routes that had previously been mapped out but also seek out new scientific discoveries in animal and plant discoveries that would put France ahead in the race to discover new lands and the spoils that would come. The story that Williams tells is a fictional based story that is based on the true adventures of both ships and their crew and at the same time managed to tell the story and brings to life the adventures of those involved. With Captains Jean-Francois de Galaup de Lapérouse and Paul-Antoine-Marie Fleuriot, Viscount de Langlein charge of the expedition both ships have managed to secure the very latest navigational equipment that was at the time state of the art on board you had the servants, botanists, geologists and physicists this was to be a ‘no expense spared expedition’ the epic voyage was to end in tragedy. I must congratulate William’s on the way she has told the story of the voyage, mostly narrated but also you get personal insight from various members of the crew told through letters and personal accounts of the experiences on board ship and exploring new civilisations. As the ships and crew made stops in places such as Chile, Alaska, where they were seen as ‘Snow Men in winged war canoes’, California, Monterey, Macau and far eastern Russia. I found William’s narrative of how the European explorers interpreted the natives of each of the lands the drama of the voyage I found unrelenting not just with discoveries but with the personalities involved and the infighting that went on. There is so much detail in Landfalls that you feel you can almost taste the salty sea and feel the wind in your face as you become part of the expedition. While in Russia the translator Barthélemy de Lesseps leaves the ship to head to Paris with reports of the expedition via the frozen lands of Siberia. This is an incredible story told with such humanity that brings together both the voyage of both ships but also the people involved as well the natives that the where encountered during the 4 years at sea. Imagine the sights and sounds as well as the new discoveries in the animal world and scientific discoveries that where encountered. This was an age of discovery but at the same time expeditions such as these come with tales of tragedy and sadly this story is no different. Heart-break is something that goes hand in hand on journey that are undertaken and you read of friends losing friends. There is humour in the story and William’s manages to encapsulate the characters so well and their individual personalities. If you love tales of adventure and exploration then this Landfalls is a book that I am more than happy to recommend. A book that will be treasured and read and re-read over time and time again. I will for sure. Thank you to Little, Brown and Poppy Stimpson for the advanced review copy. Posted on September 23, 2015, in Landfalls, Little Brown Book Co., Naomi J. Williams. Bookmark the permalink. Leave a comment.